Logged on to the Beta last night and two people were sporting their latest mounts. 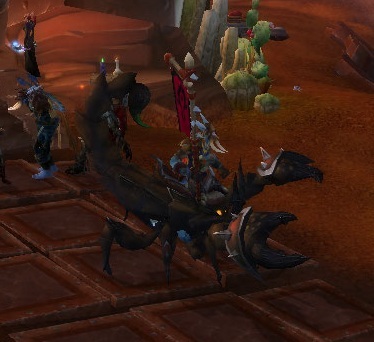 While, I've shown a [placeholder] version of the Horde scorpion mount, here's one with a rider. It now has a little seat and reins, similar to riding a horse. As part of it's idle animations, it whips it's tail and flexes it's claws. Looking at WowHead's break down, there are a number of interesting mounts to come. Exalted with Goblins, Archaeology to get raptor, and the Horde scorpion, I am giddy. The Alliance Lion actually looks pretty sweet. It's not nearly as unique as the Horde Scorpion but it does looke quite "Regal" so I'm ok with it. 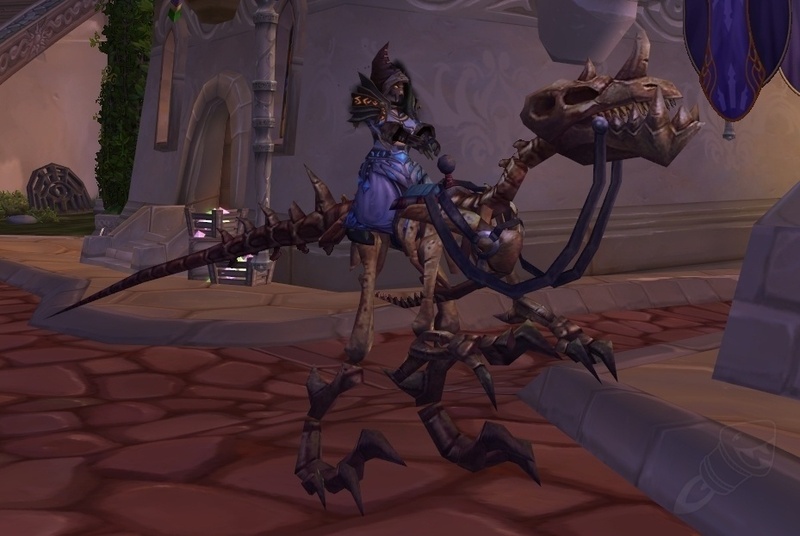 I'm most definately excited about the Raptor Mount though. I hope he's sorta rare to the point that you dont see an entire city full of them. @Fuu, I often like to think that my black war bear is a druid tank. Nothing better, IMHO, than a lock riding into battle on the backs of others. 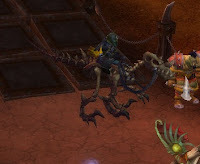 I am sure Blizz has plans for new class mounts. Reminds me of the White(?) Bone Horse added to the Undead a few patches back to balance the Horde / Alliance mount count.